Hello and Happy Tuesday before Thanksgiving! Do you have your meal all planned out yet? I'm super excited to be going to my Son and his girlfriend's home for Thanksgiving. She is an awesome cook and that leaves less for me to do! I spent way too many years cooking the entire Thanksgiving dinner so this is definitely been a blessing! 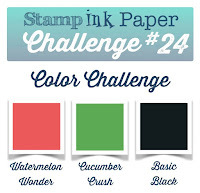 Well since it Tuesday, that means another Challenge over at Stamp, Ink, Paper! This week I had a challenge for myself! Do you ever challenge yourself to try something different? I really tend to overthink cards and make them more complicated than they should be so my challenge was to do something simple and have a lot of white space. That should be easy but for me...not so much! lol I'm still a work in progress! On this card, I started with an A2 Basic black card base. I added a piece of 5 1/4" Watermelon Wonder Dotted Lace Trim on both the top and the bottom of my card base with snail adhesive. 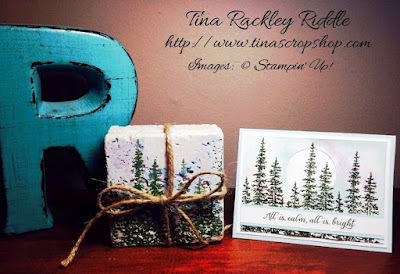 I stamped my trees from the Peaceful Pines set in Cucumber Crush onto Whisper White cardstock. The stars on the trees as well as the "Tis the Season" sentiment were stamped in Watermelon Wonder. I tore a couple of pieces of Whisper White Cardstock for the snowbanks and glued onto the bottom of the top layer. I added a layer of Frosted Lace Stickles to the torn edges to add some definition on the snow banks and then attached the top layer to the Basic Black and lace base. Hello! Hope your Thursday is off to a fabulous start! It is so hard to believe that we are just a few days away from Thanksgiving but we sure are! 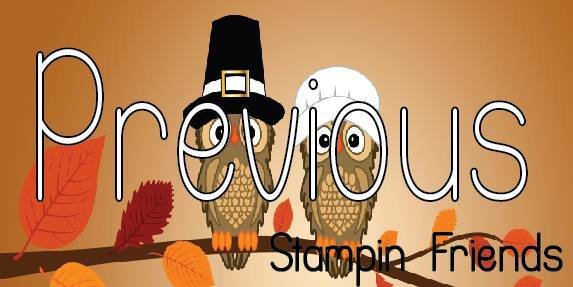 This month's Stampin Friends Blog Hop is all about Thanksgiving. This month we have a fun surprise for you! Do you love crafty supplies? If so, comment on all 12 posts in this hop and email Elizabeth everyone's favorite color to happystamper508@gmail.com. What do you get? In addition to enjoying all of this group's creations, you'll be entered to win a fun crafty present from every one of the bloggers! That's 12 crafty presents! Just a little thank you for your time! If you've already been hopping you should have landed here from Wynne Grob's fabulous blog! She is always so creative! If you haven't been there yet, make sure you click the Previous button so you can go back and check it out! 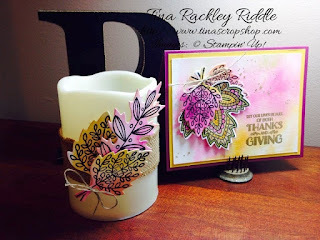 I used one of my favorite stamp sets on today's card, Lighthearted Leaves! I decided since I've been using this set with such traditional fall colors that I wanted to include a not so traditional color on today's projects.. so I added some Rich Razzleberry and I love how it turned out! I am particularly blessed this year in that my son's sweet girlfriend, Kaci, has invited us to her new home for Thanksgiving dinner. I made this card and gift for her and I know that she will appreciate the colors in this one! 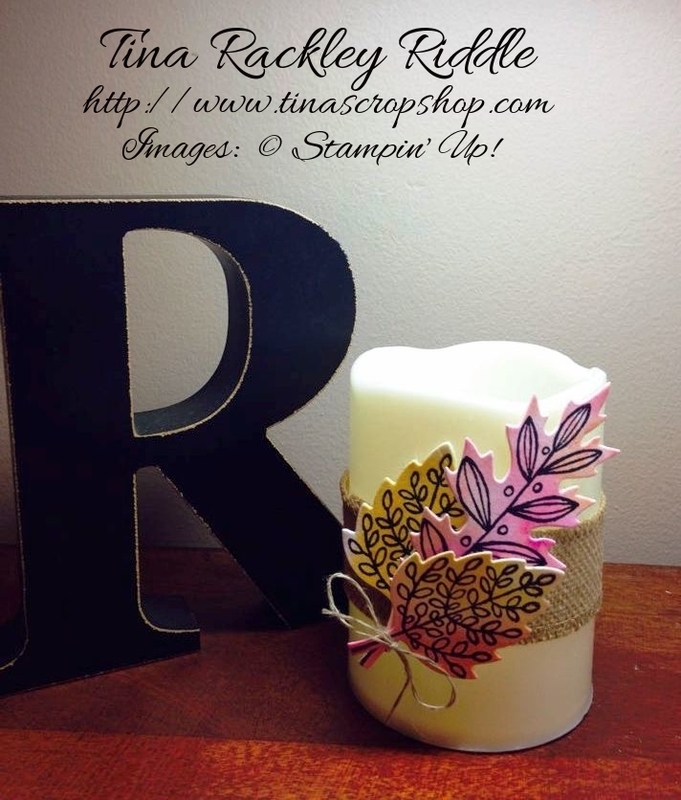 I have a card and an LED candle that I embellished with Burlap Ribbon and some watercolored background leaves. My card started with a Rich Razzleberry A2 cardbase and was topped with a 5 1/4" x 4" Hello Honey Cardstock. My top layer was Watercolor Paper that has a background created with the Reverse Smooshing method. I applied Rich Razzleberry and Hello Honey ink directly from the stamp pad to wax paper. I spritzed the wax paper with water and then spritzed the watercolor paper with water as well. I pressed the wax paper ink side down on the watercolor paper and smooshed the ink by pressing the back of the wax paper. 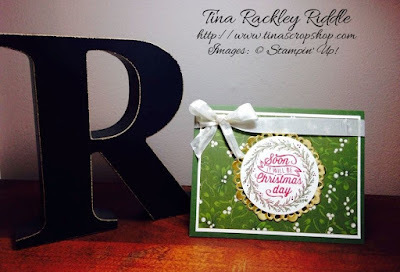 After removing the wax paper, I blotted excess ink with a paper towel and then dried the background with my Stampin' Up! Heat Tool. 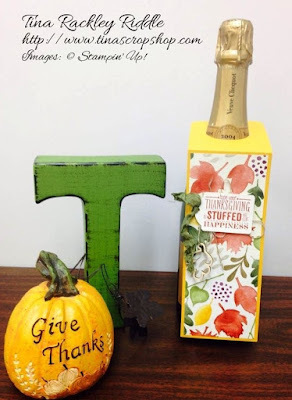 I heat embossing the sentiment with Gold embossing powder. The large leaf was stamped with Black Archival Ink onto Watercolor Paper. I used my aqua markers and various inks to color in the image. The other leaves were created by using the same technique as the background on an additional piece of watercolor paper. I stamped the leaves over the watercolored background with Black Archival Ink. 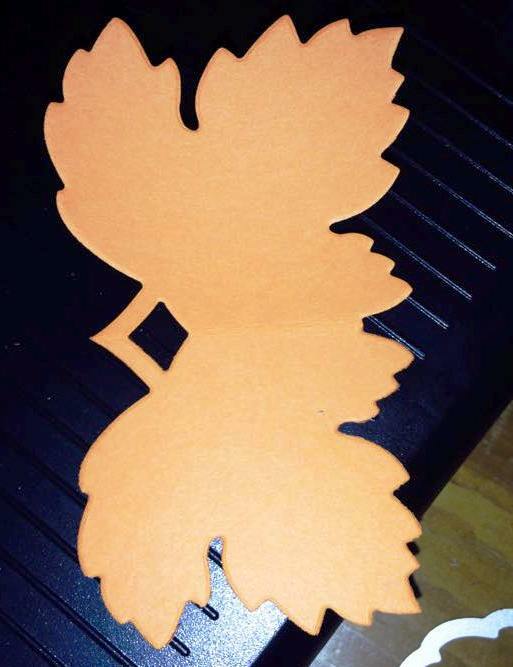 I used my Leaflet Framelits Dies to cut out all of the leaves. I tied them together at the stems with Linen Thread and glued the bottom leaf down using Multipurpose glue and then attached the other two using Stampin' Dimensionals. I used a little multipurpose glue mixed with water and an aqua marker to create a splatter of glue on my card and then added some Gold Stampin Glitter. For my LED candle, I attached the Burlap Ribbon to the candle with Beacon 3 in 1 glue. I created a watercolor wash of Rich Razzleberry and Hello Honey and used Black Archival Ink to stamp the leaves over the background once it had dried. 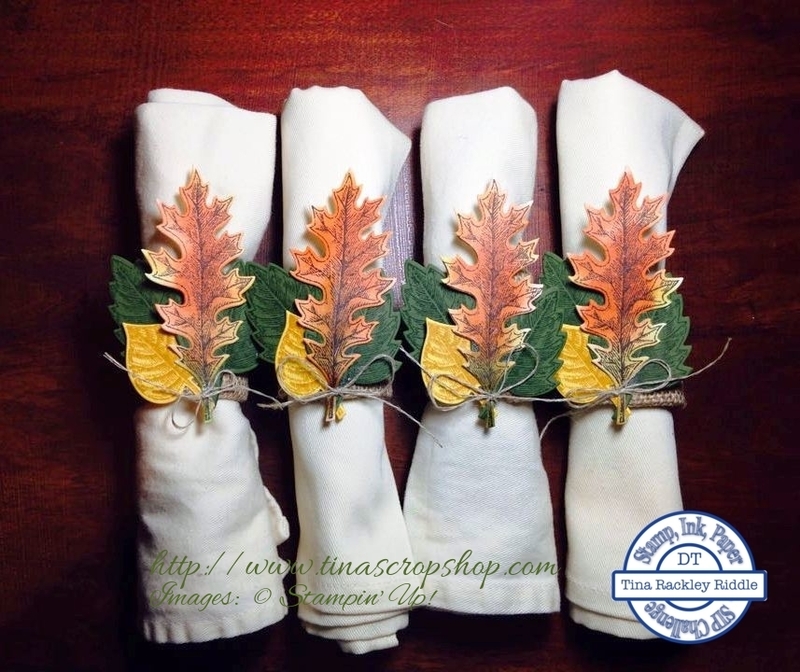 I cut out my leaves with the Leaflet Framelit Dies and tied 3 of them together with Linen Thread. I attached to the Burlap Ribbon using more of the Beacon 3 in 1 glue. Oh and though I didn't use my favorite color on today's card, it's Turquoise! Don't forget to email Elizabeth and get entered in the drawing! 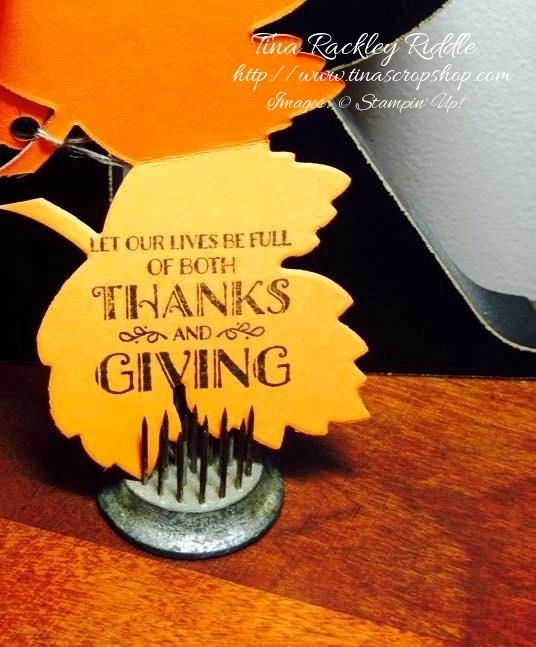 Next in line for some awesome Thanksgiving inspiration is the fabulous Deana Benson's blog! Just click the next button and you'll be there! Hello and Happy Tuesday! I hope your week has gotten off to a good start. 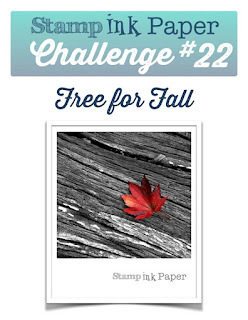 Over at Stamp, Ink, Paper we have a fun sketch challenge for you this week. 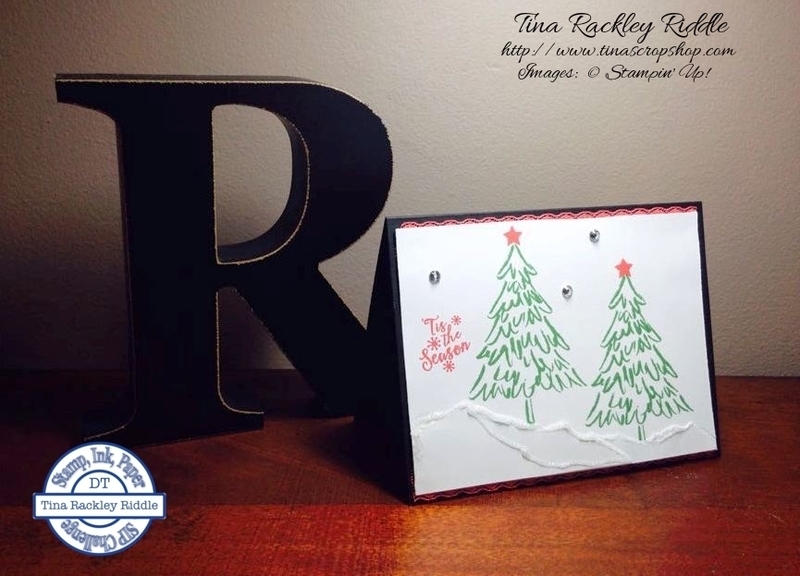 I made a super easy card using some of the awesome Season of Cheer Designer Series Paper. 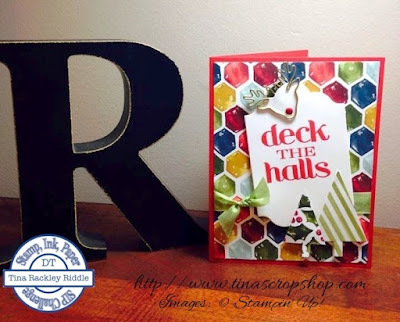 I love cards that are easy to mass produce and this is definitely one that will be an easy Christmas card. That's the cool thing about sketches.. they really can help kick start your creativity. This one started off with an A2 card base of Real Red. A layer of 5 1/4" x 4" Season of Cheer DSP that has a piece of Pear Pizzazz Seam Binding around it and knotted on the left side of the card was glued down next. I cut Whisper White Cardstock with a Lots of Labels Framelits Die. The sentiment stamped in Real Red was from a retired set called Christmas Messages. I cut two trees with the Tree Punch. The smaller one was inserted back into the punch from the top and partially pulled back through to cut shorter. 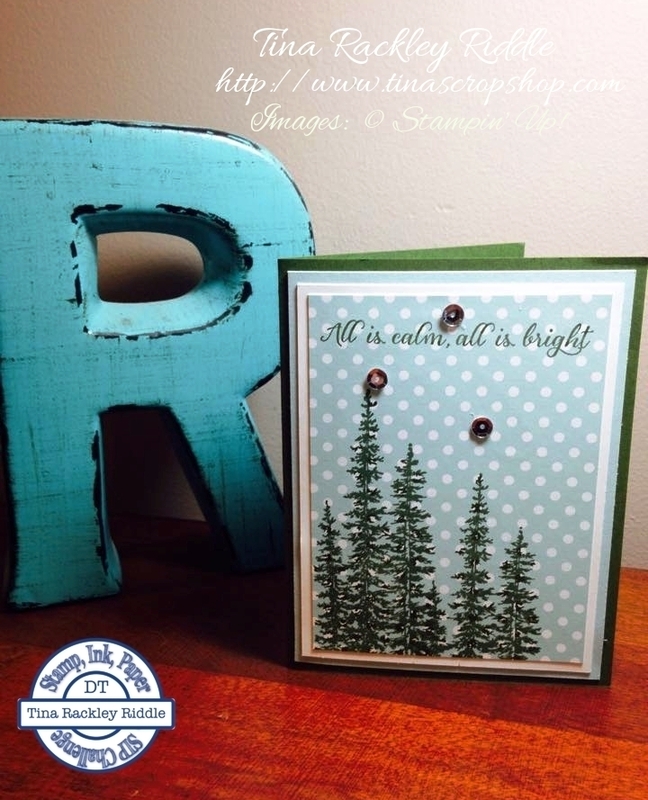 The trees were attached with Stampin Dimensionals on the bottom and multipurpose glue on the top. I added a reindeer clip to the top of the label and added a candy dot for the nose. 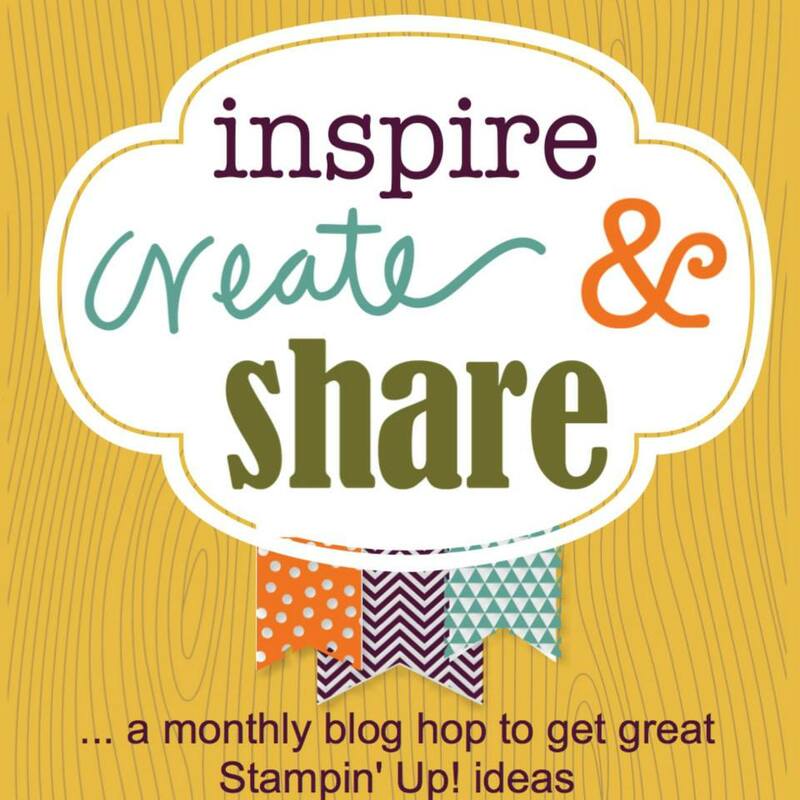 Hello and welcome to One Stamp At a Time's awesome monthly Blog Hop! There are seriously so many Fabulous Bloggers along the way so make sure you hop along to get every bit of Holiday Inspiration! If you have already been hopping you should have landed here from Lori Mueller's blog! Isn't Lori amazing! Since our theme this month is the Holidays, I decided to make a matching card and coaster set using one of my new favorite stamp sets, Wonderland. I started with a Soft Sky A2 card base. My next layer was a 4" x 5 1/4" piece of Whisper White cardstock. My top layer was watercolor paper that measured 3 3/4" x 5". The reverse smooshing technique was used to create my background. I smeared Soft Sky, Wisteria Wonder, and Pink Pirouette Ink on wax paper and sprayed both the wax paper and watercolor paper with water. I pressed the inky side of the wax paper down onto the watercolor paper and smooshed the ink onto the paper with my fingers through the wax paper. After drying the paper with my heat tool, I stamped my trees in Mossy Meadow ink along the bottom of my watercolor paper alternating the height of the trees. I then used my 1 3/4" punch to punch out a moon. I punched the trees again on a scrap piece of Whisper White Cardstock and then aligned it under the watercolor paper and then glued the edges of it down on the back and then mounted it on the Whisper White Layer. This gives the appearance that the bottom layer is stamped and aligned perfectly with the top layer but of course, now you know it isn't. This technique is called Negative Spotlighting. 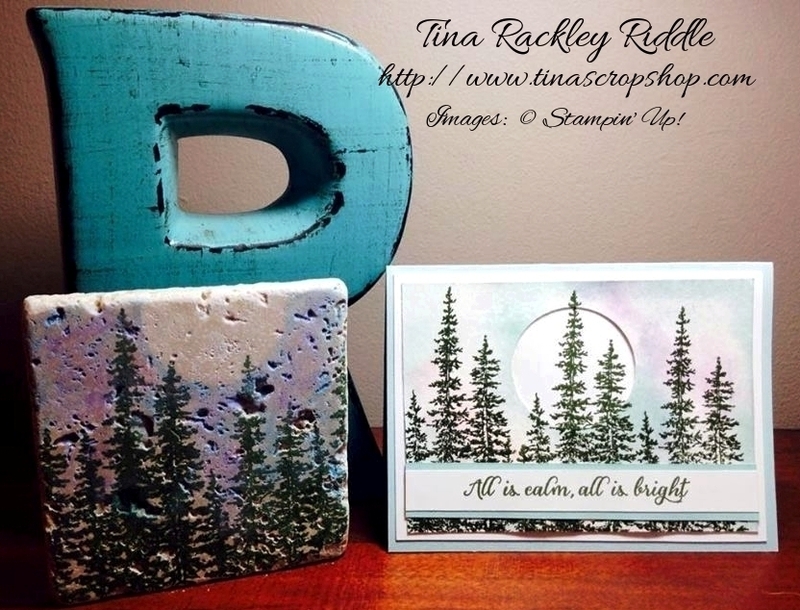 My sentiment was stamped in Mossy Meadow Ink onto Whisper White and backed with a layer of Soft Sky Cardstock. 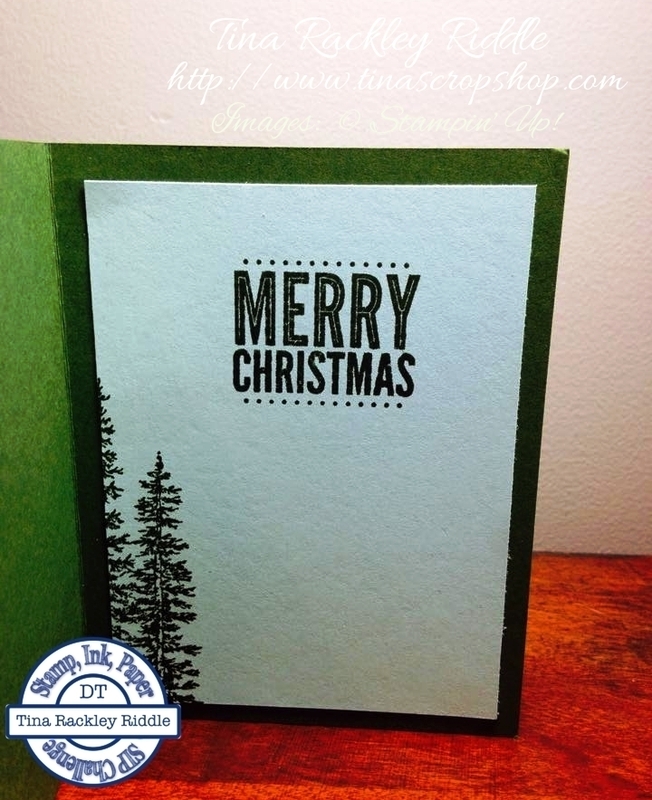 All Ye Faithful stamp set and is stamped in Mossy Meadow as well. 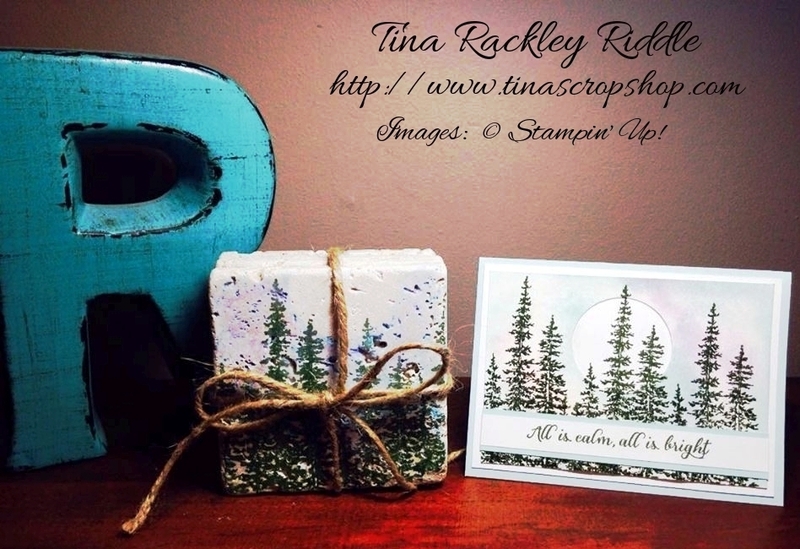 Normally when I stamp on Tumbled Marble Tile Coasters, I only use Stazon Ink so that they don't have to be sealed. Well this time, I broke my own rule. I used a punched out circle of a post it note to mask my moon, and then used chalks in Lavender, Pink, and Blue around the mask to give the sky some color. After removing the mask, the trees were stamped with Stazon Olive Green ink. Since I used the chalks the tiles had to be sealed with a spray sealant to make them waterproof. After sealing the tiles I added 1" self-stick felt circle pads to each of the corners on the bottom of each tile. I hope you enjoyed my card and project and are ready to head over to Raquelle Clifton's blog to check out her amazing work! Just click the next button and you'll be there! Following is a list of all of the fabulous bloggers on our Hop in case you lose your way..
14. Tina Riddle - That's Me! Hello and Happy Tuesday! It's been a rainy cool couple of days here in Middle Tennessee. The cool weather is a nice change, although I may not being saying that in a month or so when we are in the single digits! 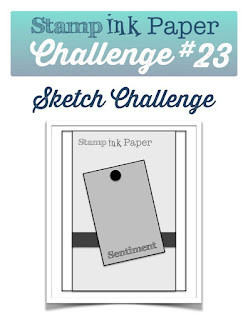 Since it's Tuesday, it's time for another Stamp, Ink, Paper Challenge. This week's theme is Free For Fall. Make something with a fall theme and link it up. It's that simple! I decided to make some napkin rings. 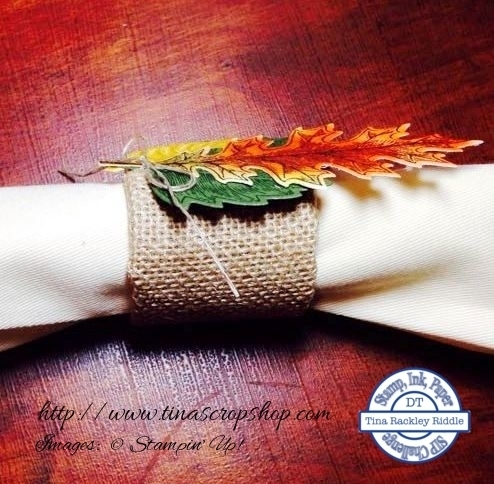 with a Paper Towel roll core, some strips of Burlap, and the Vintage Leaves stamp set and coordinating Leaflet Framelits. Here's what I made.. I started out with a core from a roll of paper towels that I cut into pieces that were 2" in length. I then used strips of burlap that were 7" long x 2 1/2" wide. I used Beacon 3 in 1 glue to adhere the burlap onto the paper towel core by running the glue down both sides of the burlap strip and then tucking it inside of the core roll. Once it had dried I cut a 6" strip of Stampin' Up! 1 1/4" burlap ribbon and glued it with Beacon glue onto the inside of the core roll to cover any raw edges. 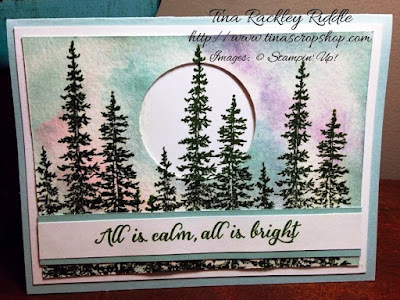 The leaves were stamped by stamping Cajun Craze Ink onto Daffodil Delight for the yellow leaves and Mossy Meadow onto Mossy Meadow Cardstock for the Green Leaves. The large Oak Leaf was stamped in Early Espresso Ink onto Shimmer White Cardstock and then sponged with Hello Honey, Old Olive, and Pumpkin Pie Ink. After I cut the leaves out with the Leaflet Framelits, I arranged them and adhered them to the Napkin Rings with more of the Beacon Glue. Finally after arranging the leaves, I tied a bow with linen thread on the stems of the leaves. Hello! Hope your November is off to a fantastic start! Of course since it is the first Wednesday of the month, it's time for a new Inspire, Create & Share Blog Hop! This month's theme is Giving Thanks! I think it's an appropriate theme for November, don't you? If you've already been hopping, you should have landed here from Joni's awesome blog! Doesn't she always have something fantastic to share?? She is so talented! 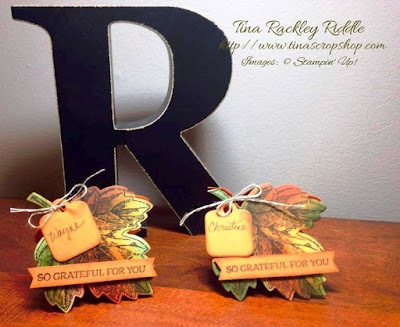 I decided that this month, instead of a card, I would get a start on some place cards that can double as a mini-card for my Thanksgiving guests. Here's my project for this month! Isn't it awesome when you have an idea, and it works! lol Well my idea was to make these little place cards out of the Leaflet Framelit Dies. Here's a close up of one of them.. Here's how they look on the inside. 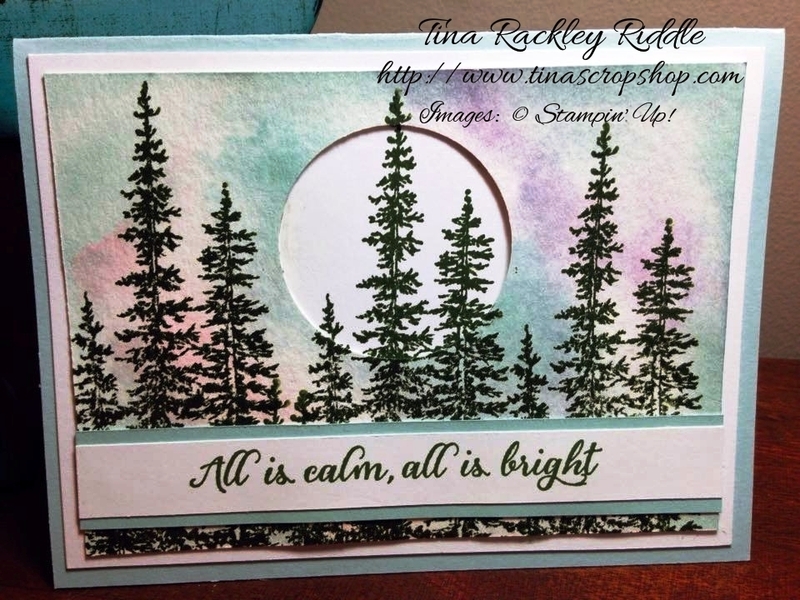 There is just enough room to stamp my favorite sentiment from the Lighthearted Leaves stamp set. For my base I started with a 7" x 3 1/2" piece of Pumpkin Pie Cardstock that was scored at 3.5"and folded. I placed my Maple Leaf die from the Leaflet Framelits on the cardstock at an angle where the score and fold was below the top of the die so that it would not cut the top. You will need to remember that you want it to stand on it's on so the angle is important part of accomplishing that! Here are some pictures of how these were cut. After I had my bases cut, I then cut a piece of Shimmery White Cardstock 4" x 8" and stamped two of the Maple Leaf images from the Vintage Leaves stamp set with Early Espresso Ink. After stamping I sponged in random sections, Hello Honey, Pumpkin Pie, Cajun Craze, and Mossy Meadow Ink onto the leaf. 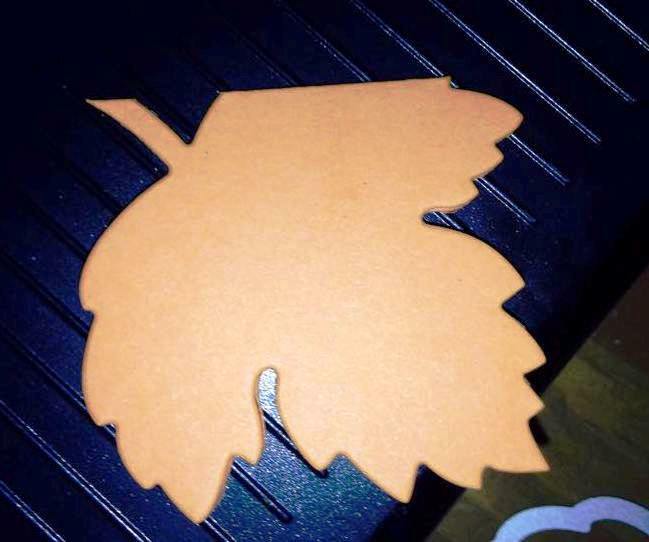 I then cut out the two stamped and sponged leaves with the Leaflet die and glued to the top of my Pumpkin Pie Place Card. 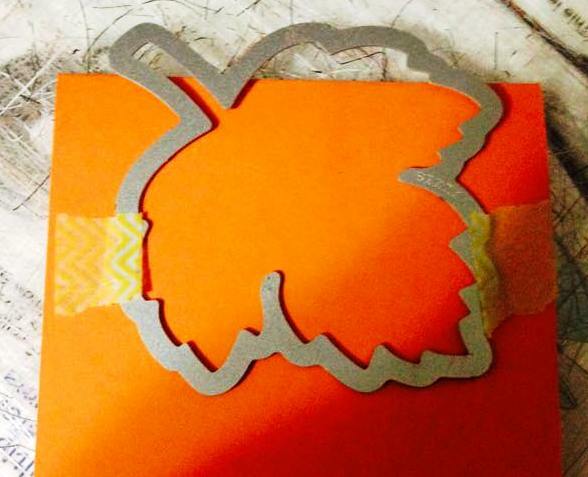 For the outside sentiment I cut two strips Pumpkin Pie Cardstock 1/2" x 5" and stamped with Early Espresso Ink. I used the Banner Punch to cut out my banner ends and sponged the edges with Soft Suede Ink. 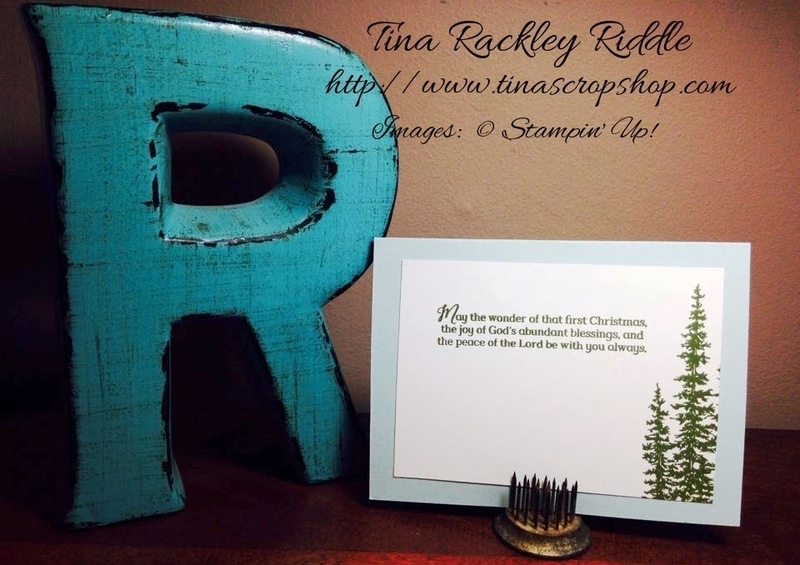 I adhered it to the bottom of the fron with Stampin' Dimensionals. The Inside sentiment, also from Lighthearted Leaves, was stamped with Early Espresso Ink as well. For the name tag, I used one of the tags from the Curvy Keepsake Box Die set and cut it out in Pumpkin Pie Cardstock. I sponged the edges of it with Soft Suede Ink as well and adhered it with Linen Thread to the stem of the leaf. I used my Early Espresso Stampin' Write Marker to write in the guests names. Please continue on by clicking the Next Button to Anna Smith's amazing blog! You will love it! As always, thanks so very much for stopping by! Hello and Happy Tuesday! Can you believe it's already November??? If you haven't started on your Christmas cards yet, you better get a move on it! Christmas will be here before we know it! So here's an opportunity for you to do just that.. 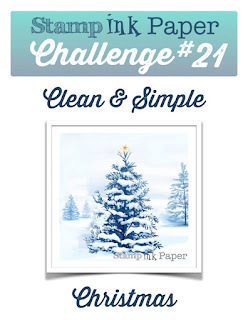 Stamp, Ink, Paper has a Clean & Simple Christmas Challenge this week! The inside of my card was a layer of Pool Party that was stamped with the trees again on the lower left corner in Mossy Meadow. I added the sentiment from Merry Everything in Mossy Meadow as well.